The Nike PG 1 is the first signature sneaker for Paul George. This Prototype EP is known as the "All-Star" edition. 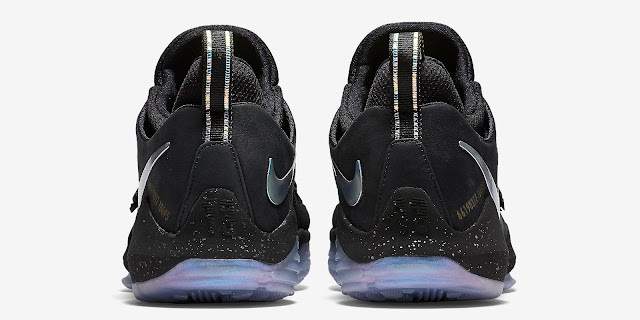 They come in black and multi-color, featuring a black-based upper with an iridescent 3M reflective Swoosh on the the sides, a speckled midsole and full icy blue translucent outsole. A limited release, look out for them at select Nike accounts worldwide on Saturday, February 25th, 2017. Retail is set at $115. 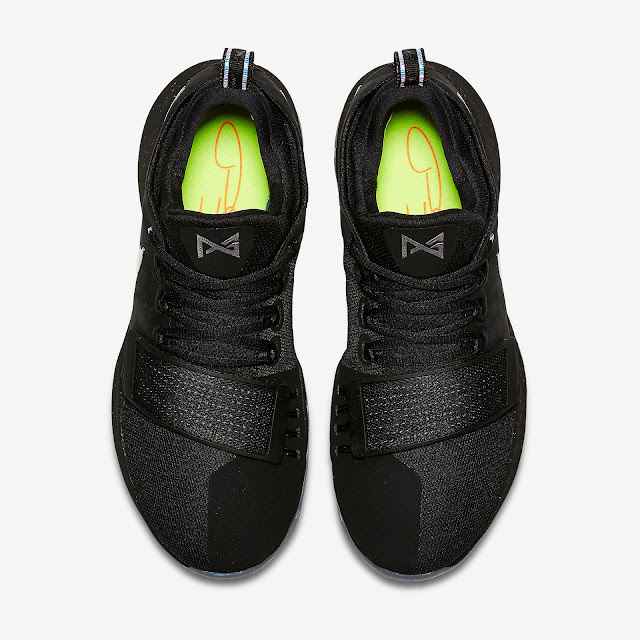 Enjoy the official images below of the "All-Star" Nike PG 1 TS Prototype EP in black and multi-color. If you're interested in picking these up when they release, check in with your local spots to see if they will be receiving them. Those of you looking for a pair now can, grab them from eBay here.